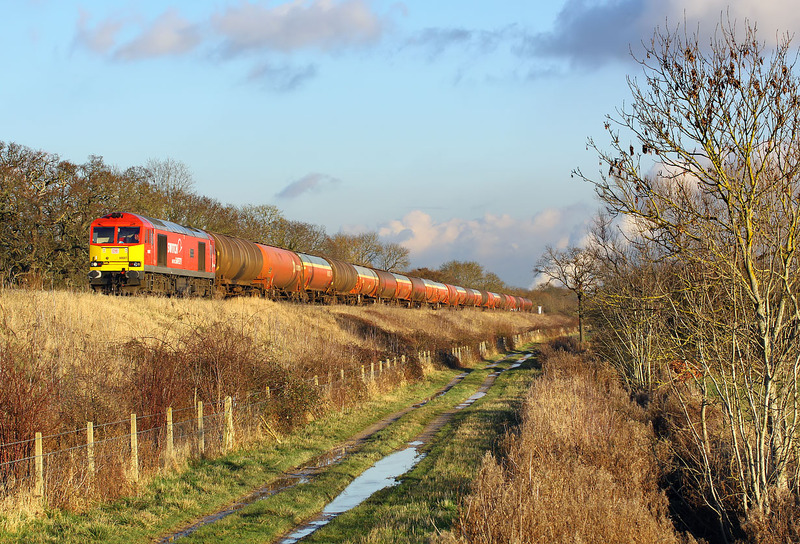 60007 The Spirit of Tom Kendell runs alongside the farm track near Wantage Road on 15 January 2013 with the 6B33 13:35 Theale to Robeston Murco oil empties. Having chosen this photogenic location, and managed to be clear of any annoying clouds, the whole thing was nearly ruined by a HST approaching at speed from the other direction. Luckily, despite being signaled onto the relief line at Wantage Road, 60007 was travelling at a reasonable speed, but it was a close run thing, with the HST just passing me as I pressed the shutter!